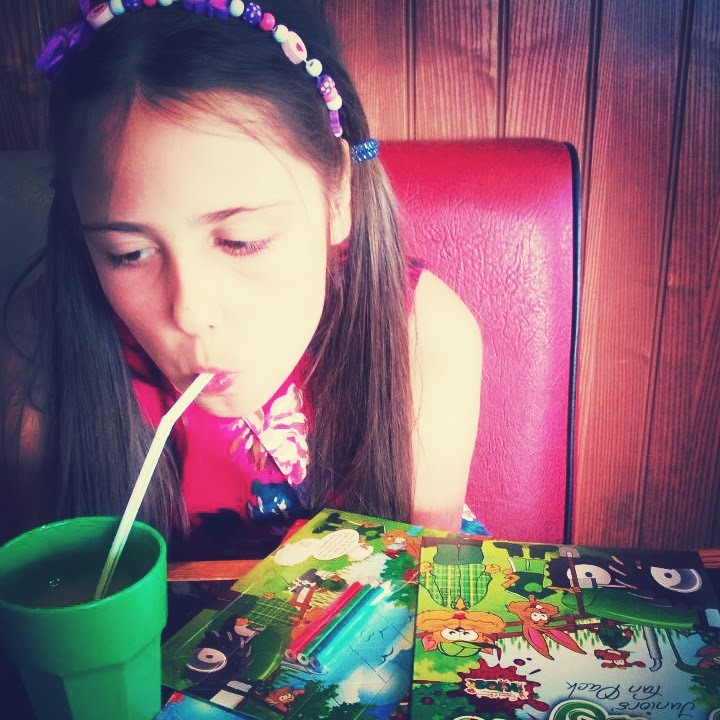 Last week we were kindly invited to Frankie & Benny’s to try out the recently launched new kids menu. 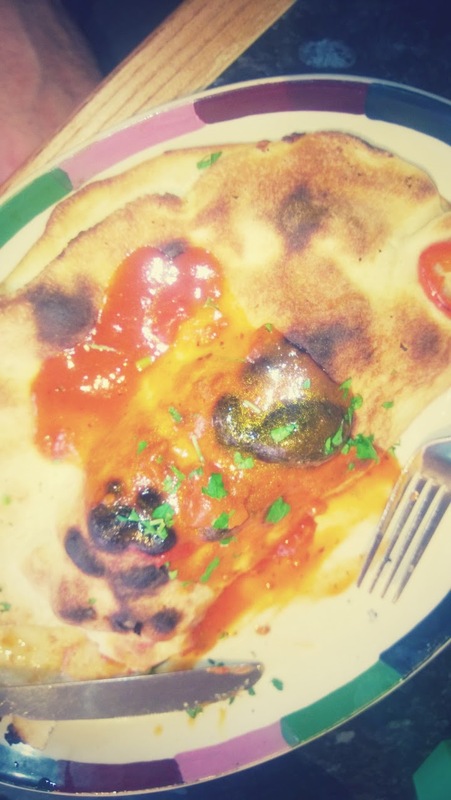 Being big fans of the Italian-American restaurant chain we were very pleased to be asked. Our favourite restaurant of theirs is in the Meadowhall Shopping Centre. This time though we went to the one in Nottingham. We met my Husband from work and off we went, all with bellies rumbling. My daughter loves to have a fun pack that comes with the kids menu. This always (along with her drink) keeps her quiet whilst the food is cooking. First up we shared a few starters. 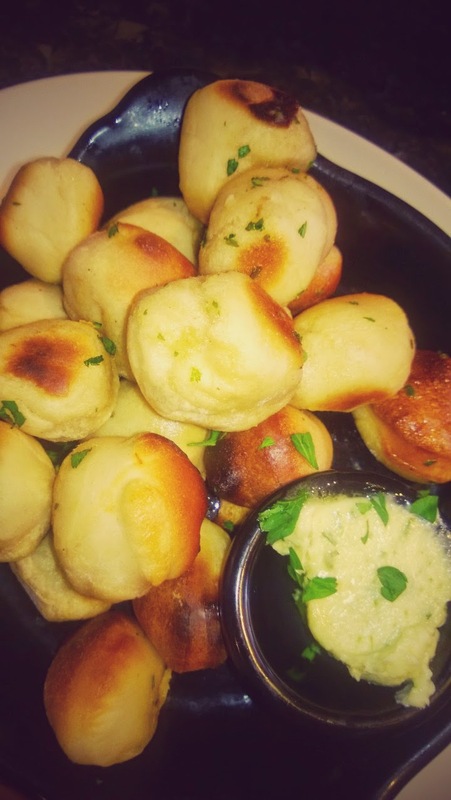 The Garlic Doughballs are plenty big enough to go round. I love these, in fact we all do. They did not last long!! 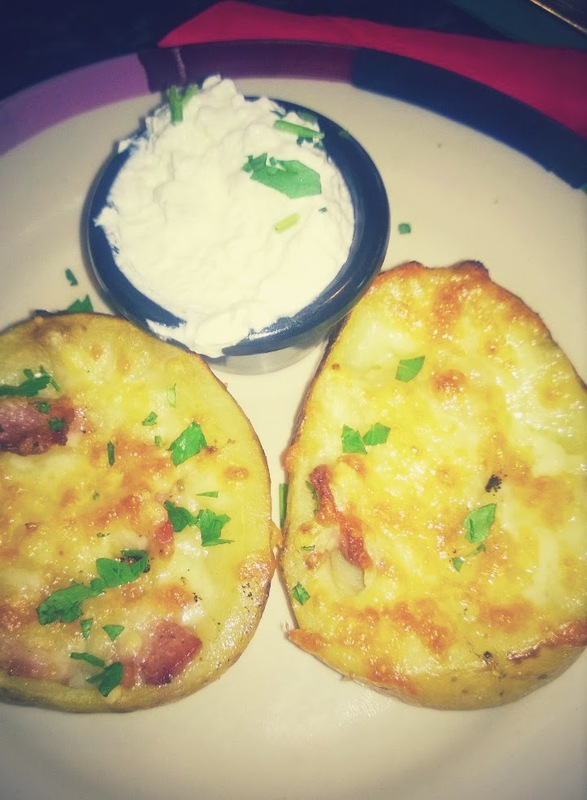 My Hubby had the Potato Skins starter but I can’t remember him sharing!! The junior menu is priced at £7.75 each. The meal comes with a main dinner, drink and desert. 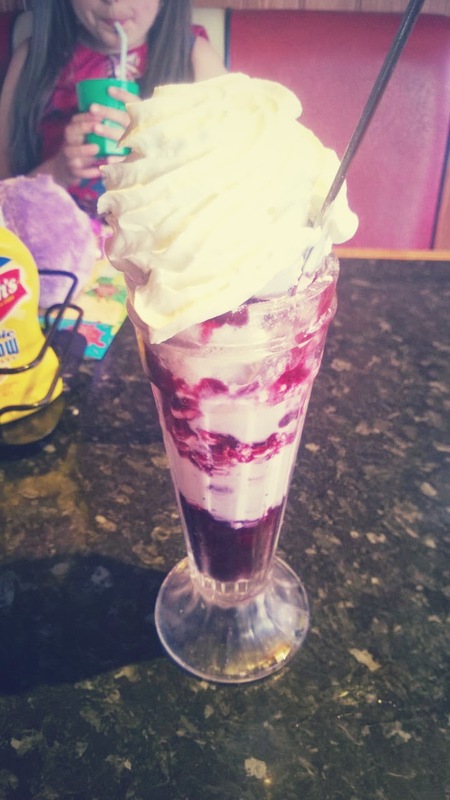 For an additional £1.95 you can upgrade your dessert to the ice cream candy shop (pictured at the top of the page) My kids had their eyes on that from first glance of the Kids Menu. 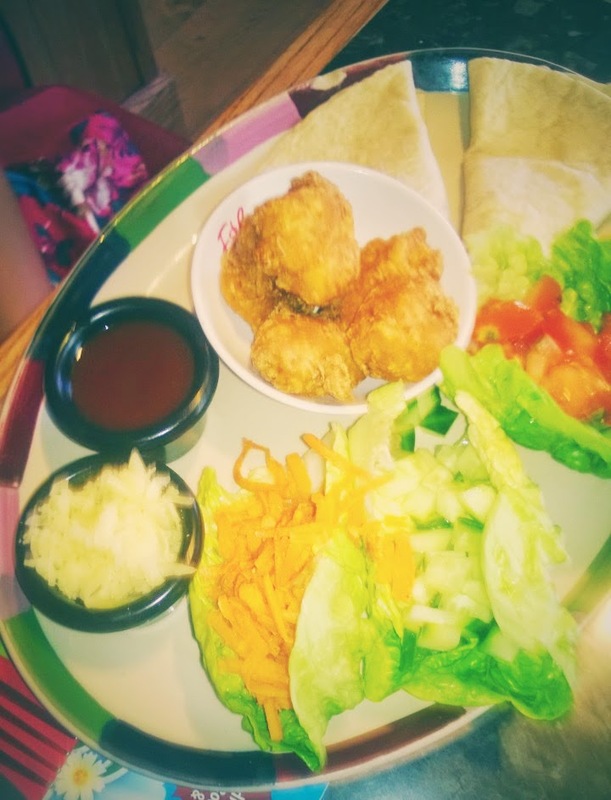 Off the new kids menu my daughter tried the fun make-your-own Wrap It Up Chicken. She loves the idea of making up her own wraps, so did I!! Everything you need to make the perfect wraps. 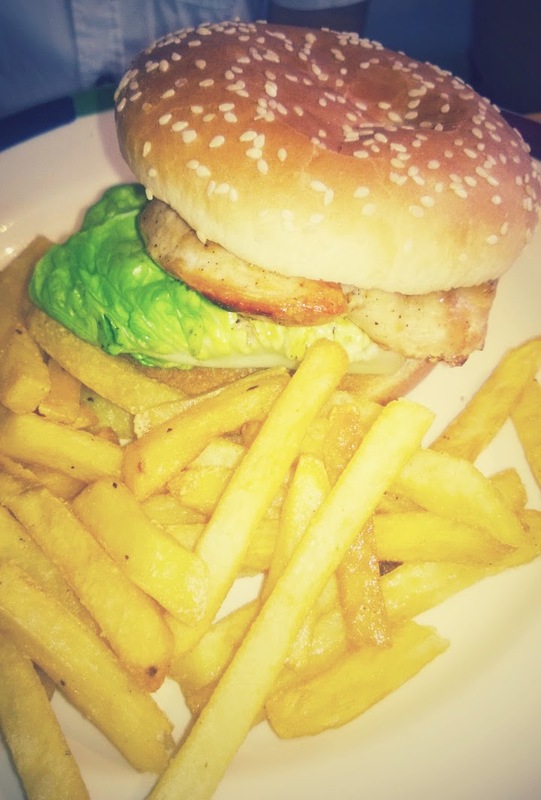 My Son went for the Fresh Chicken Build a Burger, which would have been plenty big enough for me. 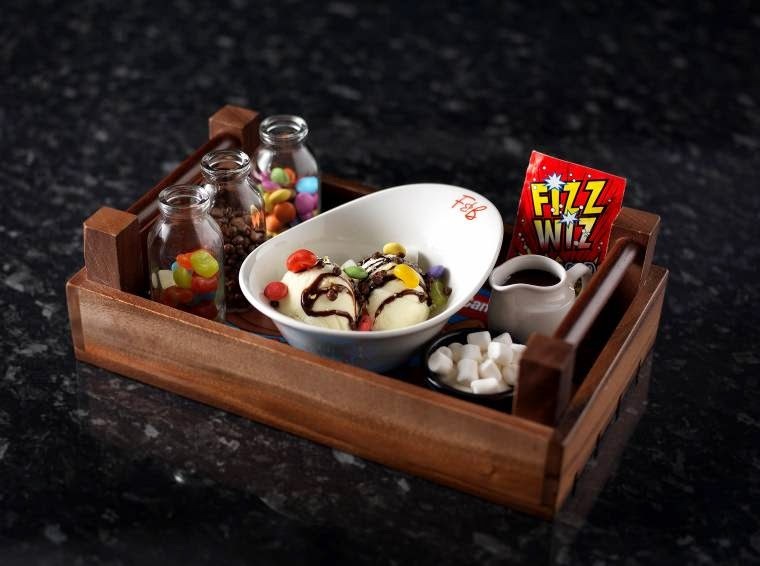 Then the desserts…I would have loved to try the Ice Cream Candy Shop!! 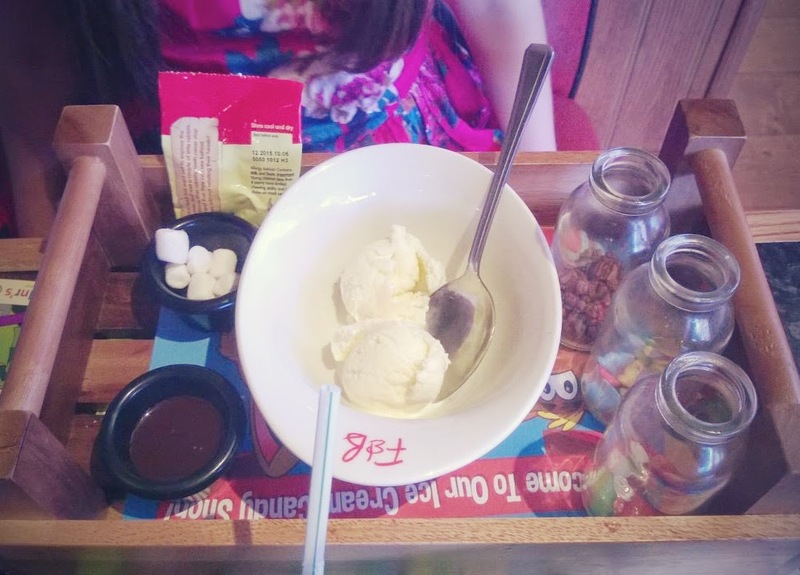 2 scoops of ice cream, bottles of sweets, melted chocolate and white chocolate buttons. They did share a few of the sweets though. Some more pics of some of the yummy food we had.. 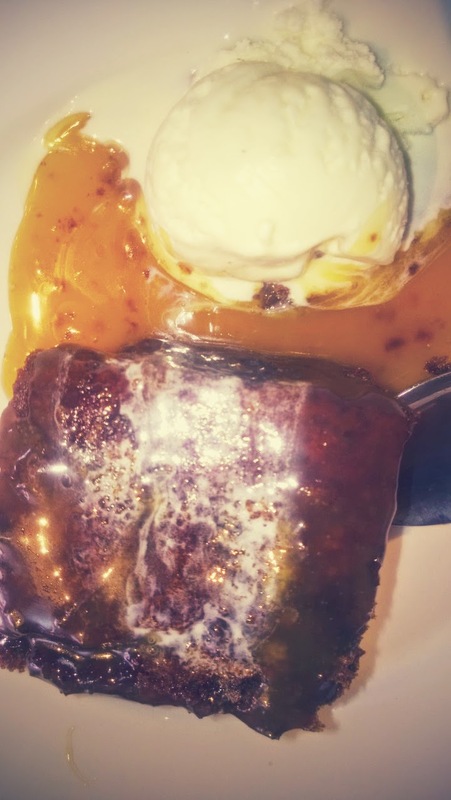 I had the sticky toffee pudding with salted caramel flavoured sauce, topped with vanilla ice cream. It tasted amazing. At first the salt kicks in, then the sweet!! Oh yum I could eat this everyday!! My youngest two enjoyed the new kids menu. A wide variety of food with plenty of healthy options. With of course a ever so slightly naughty but nice dessert. Overall then a good afternoon out. Everyone was full up when we left. Indeed we didn’t even have any supper, very unusual in our house! 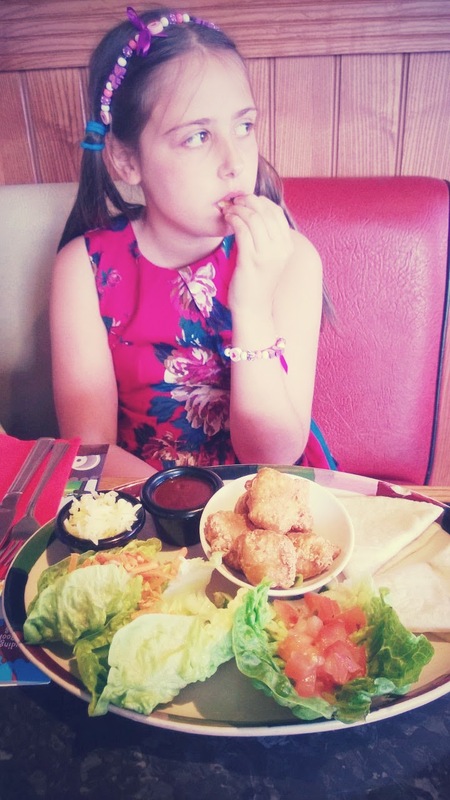 We got invited to have a family meal at Frankie & Benny’s for the purpose of this review. I was not paid for this post and all thoughts are our own honest option. Thanks for stopping by Emma. Not sure about letting the adults have this but they should add one on the menu for us as lot of my friends want this ( as well as me!!) too 🙂 Have a lovely time, looking forward to reading your post!! Hehe 🙂 thanks for stopping by.. This looks yummy. Will have to go and try them out.